The iPhone X is a great smartphone of dual-sided glass design delicate, but it’s also fairly slippery.Considering that Apple’s latest iPhone features its biggest screen yet and a glass-covered back, it’s probably not a bad idea to invest in a case to keep your new phone safer. Need any extra protection? Then the iPhone X leather case is a good choice. Below are five solid options for keeping your iPhone X safer and look nicer. How to back up data on iPhone X to prevent data loss due to accidental drops and damages? If you want a fully leather-wrapped, satin-like microfiber, all details considered and screen edge protected iPhone X leather case, then all you need is the MUJJO. With Mujjo’s signature natural premium quality full-grain vegetable tanned leather, you can get complete body protection for your iPhone X. 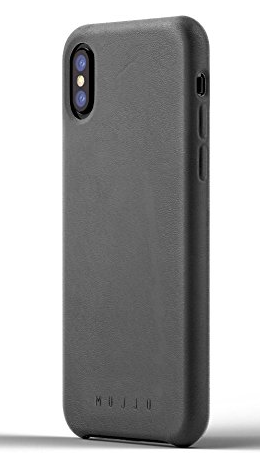 After putting the case on, you will still be able to access your camera and take photos, shoot videos. And all the physical buttons are still easily accessible. You can still use the Mute, Volume-UP, Volume-Down buttons and the lightning connecter to charge your iPhone. 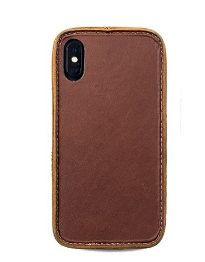 Last but not least, this apple iPhone X leather case comes in beautifully designed packaging with 2 year factory warranty & guarantees against defects. Completely handmade, this leather iPhone X case is 100% compatible with wireless charging, totally unique, and backed with the 25-year leather warranty. All ports are accessible after you put Traveler iPhone X leather case on your iPhone X and all buttons are protected. With easy push/snap-in installation, secure tension-fit that shapes to your phone, you will like it! This iPhone X leather folio case, FYY is endowed with fine texture and comfortable tactile impression, which help to make the case durable and allow you to hold your iPhone X firmly without it slipping from your hand. 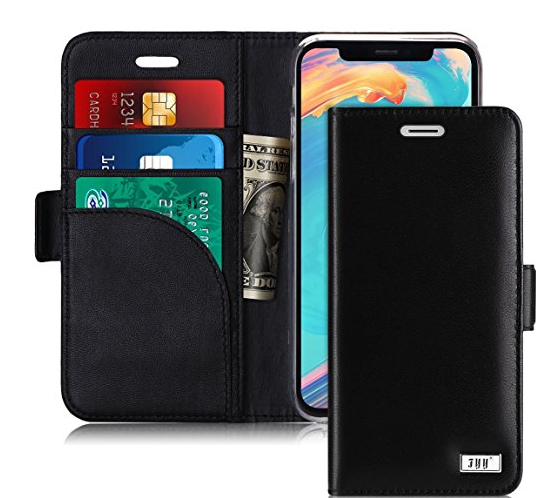 What is more, this wonderful iPhone X leather folio case is designed to protect your cards information from stealing with blocking material of RFID shielding technology. You deserve to have this 100% handmade premium genuine leather iPhone X case with a variety of dashing colors. 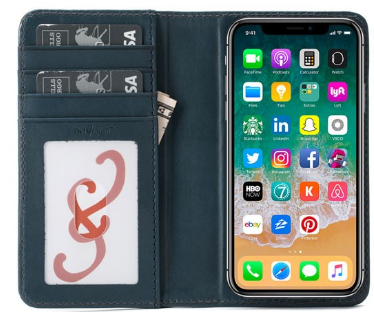 With perfect combination of a wallet & detachable magnetic shock-absorption back cover, this high quality apple iPhone X leather case is what you need. The iPhone X leather folio case can get your iPhone well protected from bumps and accidentally drops that could occur when you are not paying enough attention to your phone. Moreover, its multiple cash & card slots allow you to carry your ID & credit cards & debit cards & cash with you at all times. This Bella Fino iPhone X case leather is of luxurious full grain America one, which perfectly fits Apple’s latest flagship. 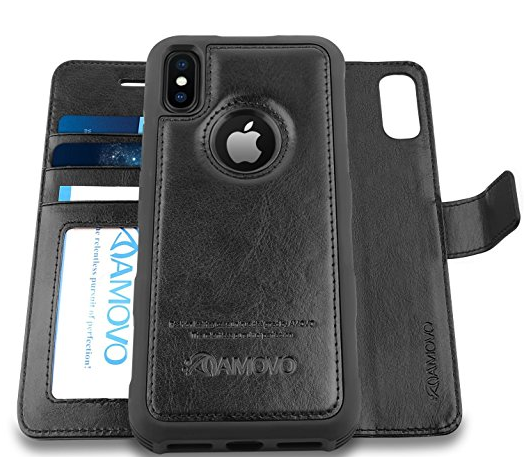 Designed to be the best leather iPhone X case, it’s capable of holding up to 6 cards in its slim pockets with room to spare. In addition, the Bella Fino secures your iPhone X with an all new secure locking adhesive that works amazingly even on the glass back. Though iPhone X leather case is undoubtedly useful and helpful, It’s still possible that your iPhone X will get damaged after you drop it? It could leave dent or a broken screen on your iPhone X. And there have been cases in which someone dropped their iPhone and the iPhone was damaged and won’t turn on. In sutation like this, you might lose your data on your iPhone. So it’s always necessary to back up your iPhone in advance. 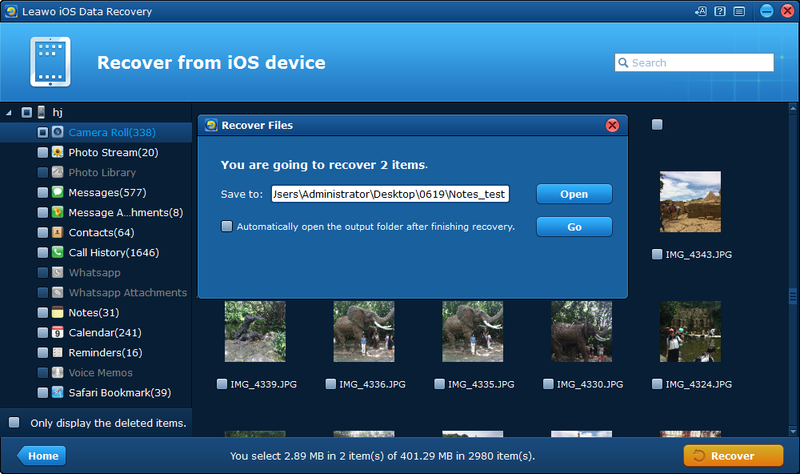 Here’s a great tool to back up your iPhone: Leawo iOS Data Recovery. It can back up 14 different types of data on your iPhone to your computer. 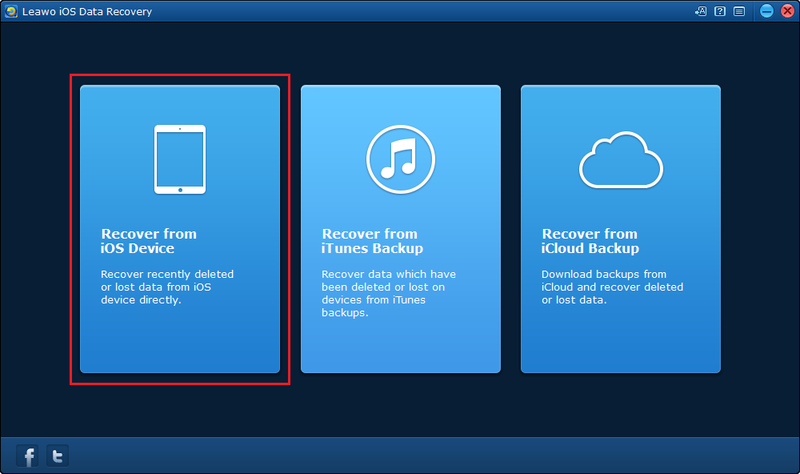 Designed originally as a data recovery program, It has 3 data recovery modes that allow you to recover data from iOS device itself, iTunes backup and iCloud backup. What is more, it supports recovering up to 14 types of data including Contacts, Messages, Call History, WhatsApp, Calendar, Notes, Reminders, Safari Bookmarks, Camera Roll, Photo Stream, Photo Library, Message Attachments, Voice Memos and WhatsApp Attachments. Read below to find out how to back up data on iPhone X to prevent data loss due to accidental drops and damages. Step 1: Download and launch the software, Leawo iOS Data Recovery in your computer. Connect the iPhone to computer and then click the first tab on the main interface. Step 2: After the software detect your iPhone X, click Start button to start scanning your device. 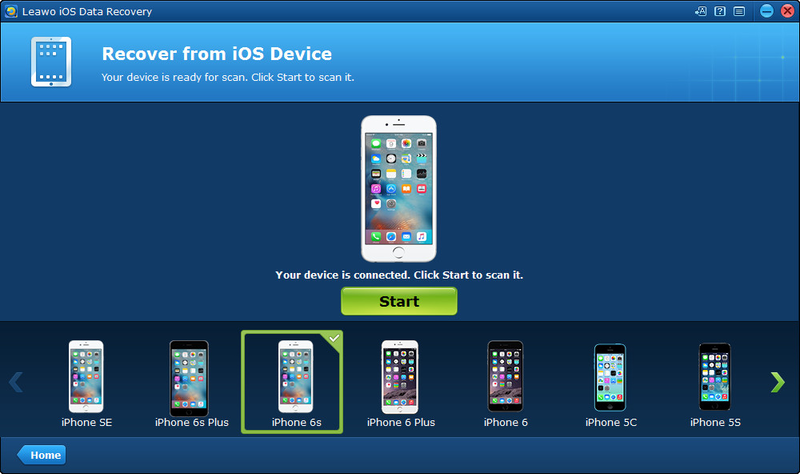 Step 3: When the scanning process is finished, you can notice the list of the 14 kinds of data on your device. Check all the files and data you want to back up and click Recover button. 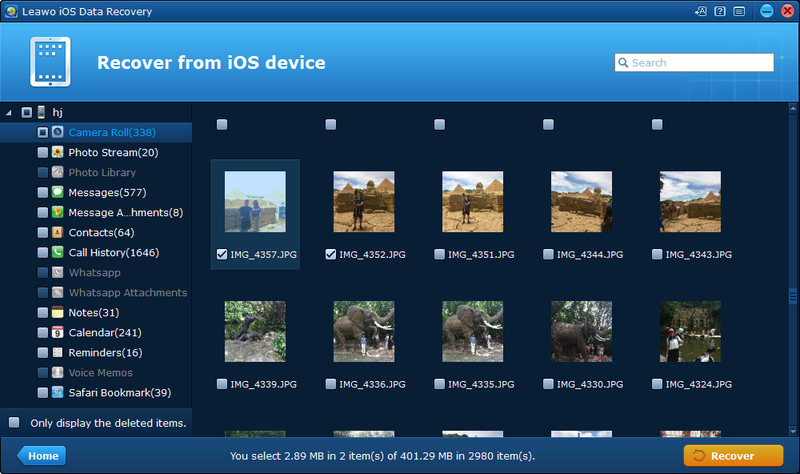 Step 4: A window will later show up and ask you to set the path to save all the files and data you want to back up. After setting, you can click Go button to start recovering data to your computer. Then you have backed up all your data successfully. Obviously, the iPhone X is the most expensive iPhone to repair. So to avoid any screen replacement or scratch, you need an iPhone X leather case.